Fixed rate mortgages are incredibly popular at the moment and make up 3/4 of new mortgages taken out in the UK. The most popular and best value for money deals at the moment tend to be those that are offering an initial special discounted rate - fixed for a particular period between 2 to 5 years. When the initial period has come to an end then the lender's standard variable rate will kick in. This is usually at a rate which is about 2% more than the current bank rate, and most borrowers will then move onto another deal to keep costs down. One of the main reasons that these mortgages are so popular is because they are great for those who have really stretched their finances to purchase a property or if you have a limited budget that means you need to have the security of knowing exactly what your payment is going to be. The security of having a fixed rate does come at a price though. Some mortgage providers will charge high arrangement fees for the good deals, and higher ones for the best! Rates on fixed rate deals are usually higher than they are on variable rate deals, so you need to make sure that you're not paying over the odds over the length of your deal. The most popular fixed rate deals are those that span 2 years - although in the current unstable financial climate of interest rate changes and a slowdown in house sales, people are starting to opt for 5 and 10 year deals too. If you do opt for a longer term deal, check whether or not you can take your deal with you if you choose to move house - this is something most lenders will agree to although you may need to pay admin fees if you move, or a higher initial arrangement fee to get this kind of mortgage. You'll also need to check that if you choose to move house and need more money to buy your new home, whether or not you can use a secondary lender or whether you can only move the deal if you get extra borrowing from your original provider. If you can't move the deal to another property then do consider your options carefully - if you think you are likely to move house within the loan term, understand that it may turn out to be very costly if you have to pay a hefty redemption fee to buy yourself out of your deal. It's also worth noting that if you get a fixed rate deal, then unlike a variable rate loan, if the bank base rate is reduced, then your bill won't go down too - your payment will be fixed until the end of your term, so if it looks like a rate drop is on the cards then you may want to consider a fixed discount variable mortgage, where you still get a discount, but if the rate goes down then so do your payments. Of course they also go up if the rates increase, so do your research carefully and take professional advice on the current market trends. Make sure you know exactly when your fixed rate deal runs out. Lenders offer deals in the hope that borrowers will forget when their deals are ending and will end up paying high standard variable rates while they sort out another deal - if they remember at all. Some deals have what is known as lock-in or 'collar' period, and they charge a fee if you want to change or move your deal within a certain period of time. 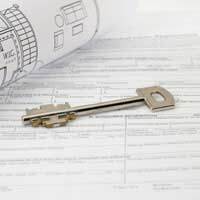 As an example, consider a 3 year deal that 'locks you in’ for 5 years - basically although your special discounted fixed rate only lasts for 3 years you aren't allowed to leave the arrangement for 5, unless you are prepared to pay large repayment charges. This can make moving a loan pointless and expensive.